I just picked this up as a "Buy it Now" for $25. 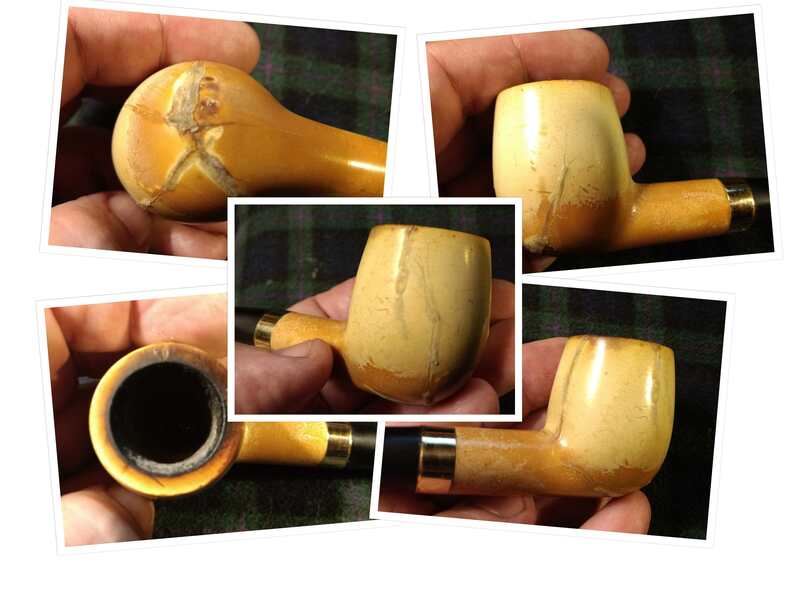 I know Master Craft isn't a high end pipe, but it looks like a pretty nice restorable meerschaum for that price. 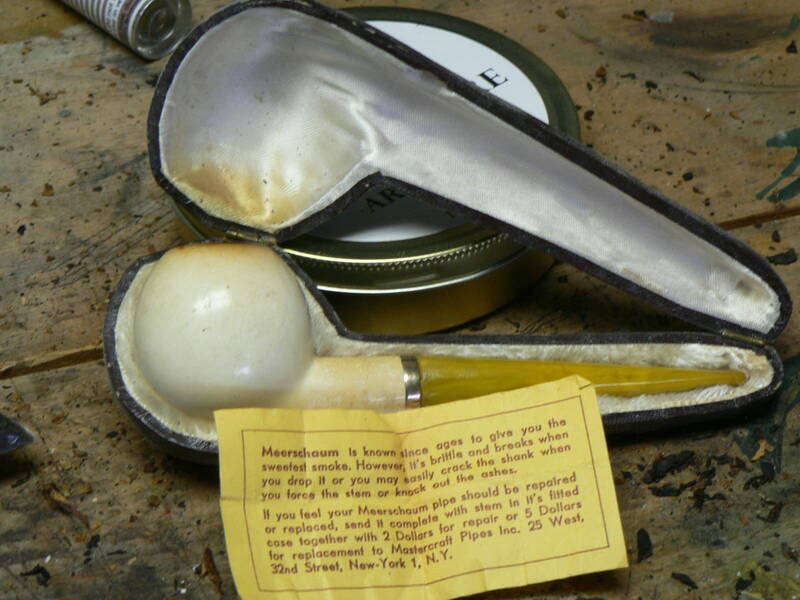 The case looks almost perfect and it (the case) is stamped "Genuine Block Meerschaum". Looks like a winner to me. Looks like it's worth every cent to me...nice find, nice price. xrundog, I worked with Grabow from 1966 till 1991 and retired as President and COO. From 1974 till 1982 I was on loan to Mastercraft. There is no-one left alive that knows more about the history of Mastercraft than I do. I have little time today to give a lesson on Mastercraft, But I will.. In the meantime.... This is my second one. The first one lasted for 40 years and finally disintegrated from use. 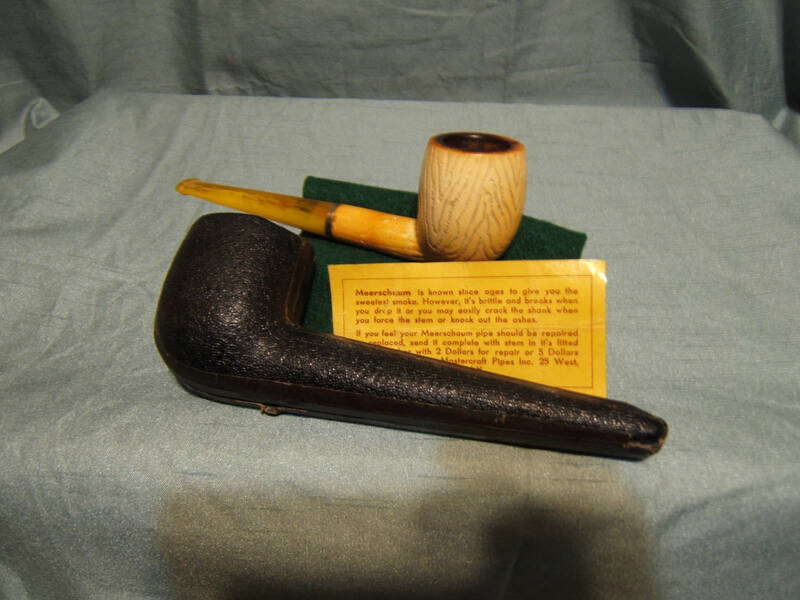 It was, without a question, the best pipe I ever owned.... And I gave away 300+ smoked pipes when I retired. Thanks for the post Ted. Looks like both pipes definitely have the same pedigree. I've seen some nice Mastercraft pipes over the years. I just never paid a lot of attention to them because I was collecting other pipes at the time. In the first post I should have said "Mastercraft isn't considered a high end pipe." Doesn't mean there aren't good ones out there. I was preparing to detail my pipe today when I noticed something amiss. Using a magnifying glass I could see a very fine hairline crack on the bottom of the pipe. Easy to miss, no foul. I contacted the seller for a return and he sent me a nice note apologizing, telling me to keep the pipe, and refunded my $$. Good guy! traco007, recommended! Wow, that's above and beyond, huh? He wants to keep those positive marks! If it turns into a "smoke it until it can't be smoked" pipe, it might go through the same phases as the Medico meer. Is that Bondo I see? I could find a video specifically geared to the pipe smoker. I agree Tom. I can't sell it. I'll likely try and run some tobacco through it just for kicks. This pipe has what I believe is a Revelation ghost. Sure hope I can exorcise it.